White Lion Alerts proudly utilises Tunstall monitoring services. Tunstall is an international company that operates in 50 countries and employs over 1200 people. Tunstall telehealthcare systems support more than 5.6 million people around the world. Tunstall opened its first local response centre in Brisbane Australia in 2002 and quickly grew to be recognised for its quality products and exceptional care and service. From the monitoring centre based in Eagle Farm, Brisbane, professional staff monitor over 70,000 clients across Australia. Proudly utilising Tunstall monitoring services, White Lion Alerts medical alert systems are available to help around the clock. 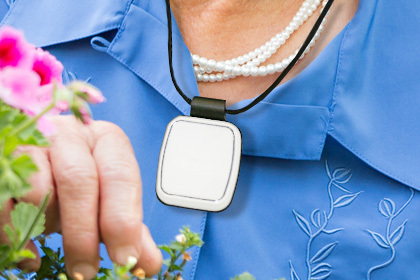 Our fall detection and medical alert systems help to maintain the independence of people living alone. Rest assured knowing that in the event of a fall or an emergency, Tunstall will be there to help. Using the latest technology, our fall alert systems provide access to help when it’s needed the most. What makes White Lion Alerts different? 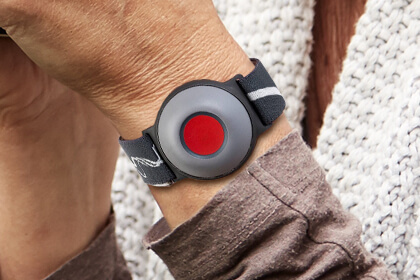 Whether a button is pressed or a fall is detected, our devices alert an operator who will check in on the person’s condition. While accidents can’t always be prevented, using a medical alert system with fall detection can help to minimise injury through swift medical assistance. Why choose White Lion Alerts? At White Lion Alerts, we believe in providing a service that emphasises choice, quality of life, and is focused on the people we care for. With our association with Tunstall we’re proud to maintain a high standard of service, client care and call responses that exceed industry standards. Rest assured knowing that White Lion Alerts are available to help 24 hours a day, 7 days a week, 52 weeks a year. "With my back issues I knew I was susceptible to falls and if I wanted to stay living at home I would need an alert of some kind. My automatic fall detector from White Lion Alerts has been just the ticket. With it I know that if I fall, help will be on the way and with the key safe I have reassurance that my home will not be damaged by those that need to get in to help me. Thank you White Lion Alerts."